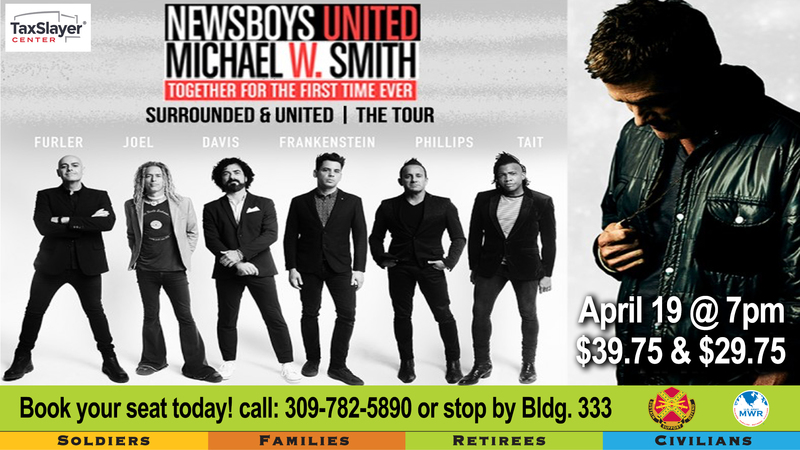 Date: Apr 19 2019, 7 a.m.
Michael W. Smith with Newsboys United's "Surrounded and United" Tour is coming to the TaxSlayer Center and Leisure Travel has your discount tickets. Tickets are $29.75 & $39.75. Call 309-782-5890 for more info and to book your seats today.